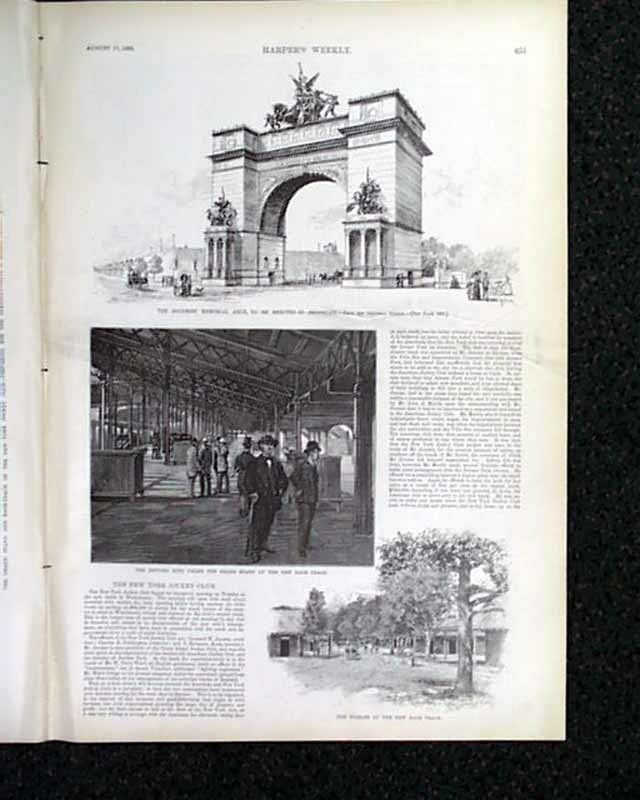 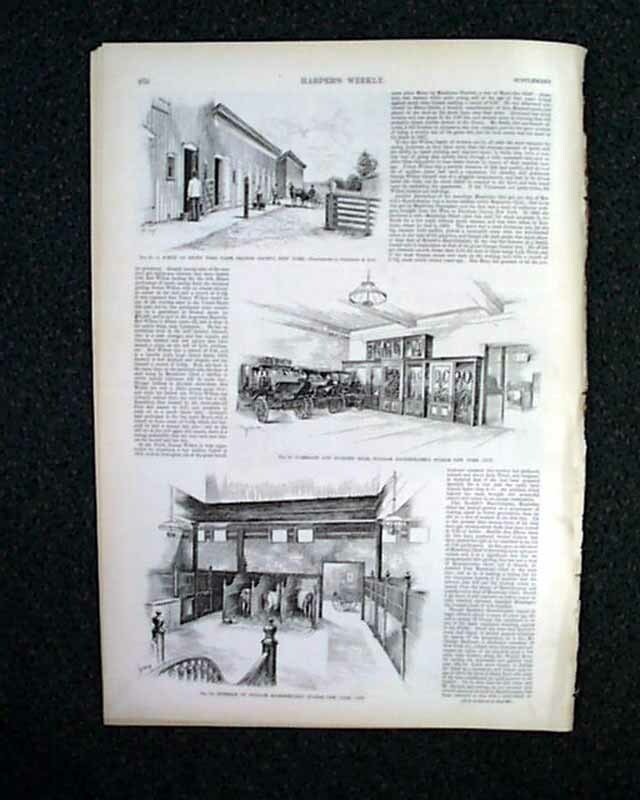 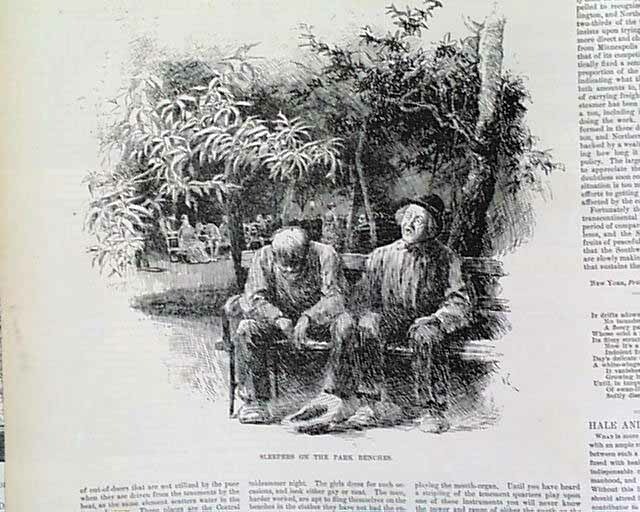 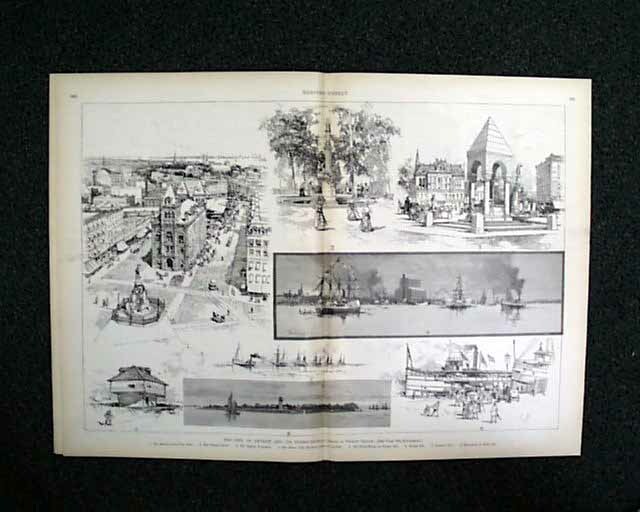 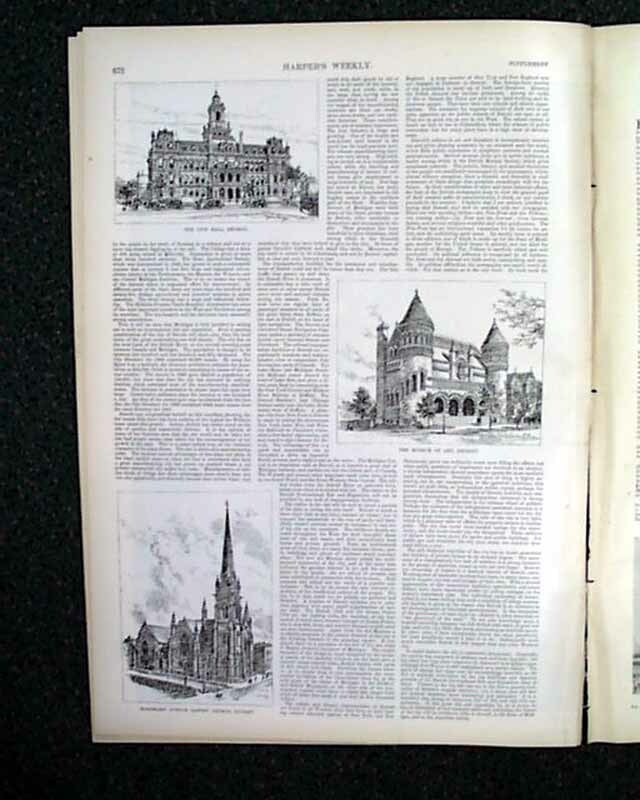 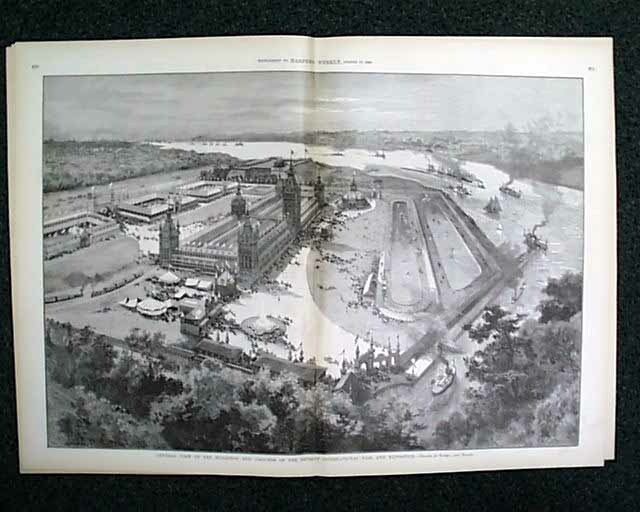 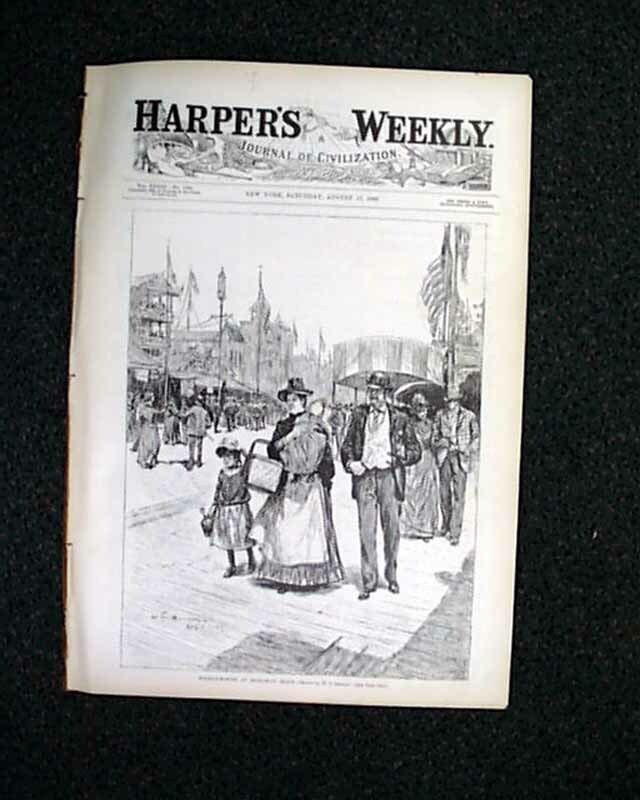 HARPER'S WEEKLY, Aug. 17, 1889 This issue contains the following: Full front page: 'Holiday Making at Rockaway Beach', a great double page centerfold having 8 scenes of: 'The City of Detroit & its Surrounds', a nice halfpg. 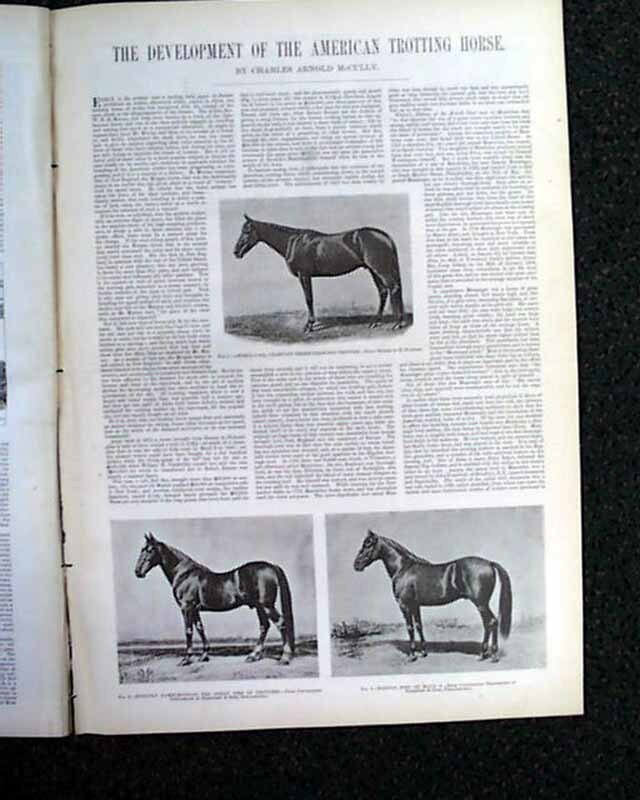 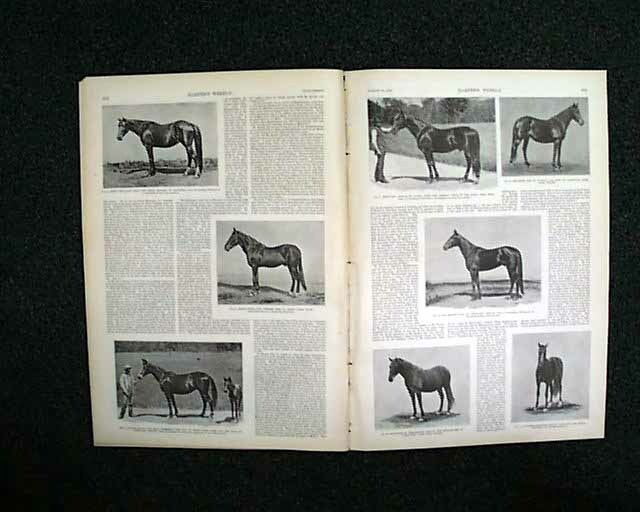 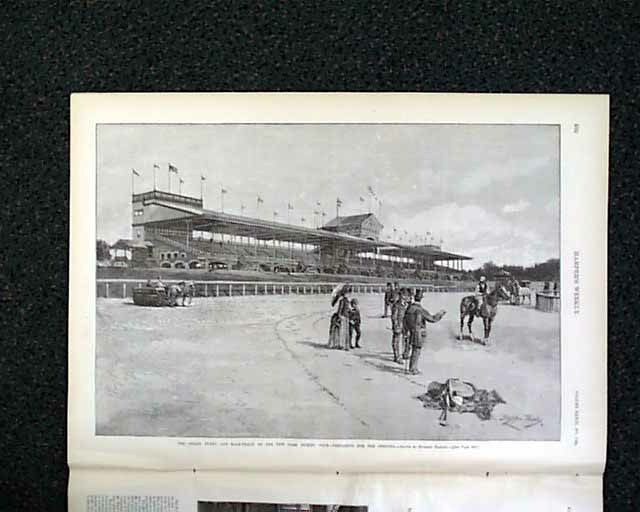 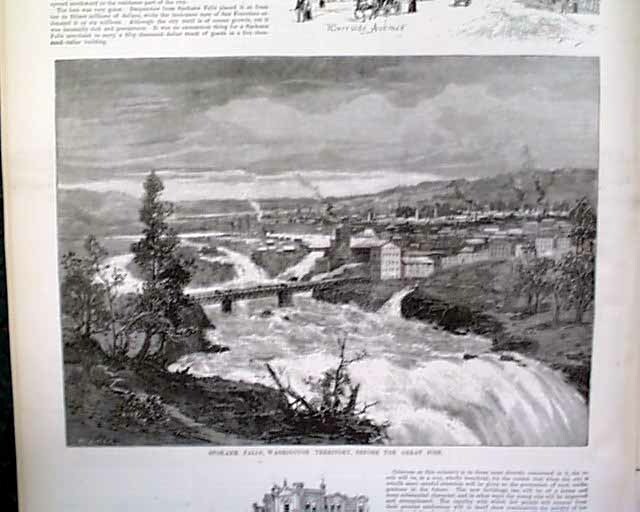 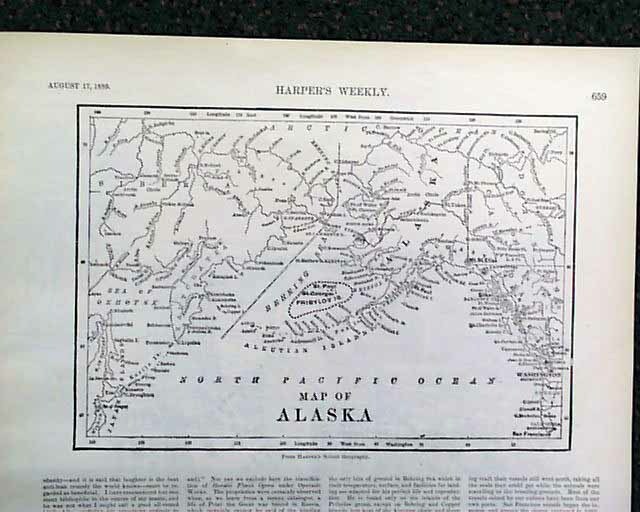 showing: 'Spokane Falls, Washington Territory', another double page centerfold showing: 'The Detroit International Fair & Expo', a half page map of Alaska, and several equine related prints (see images). 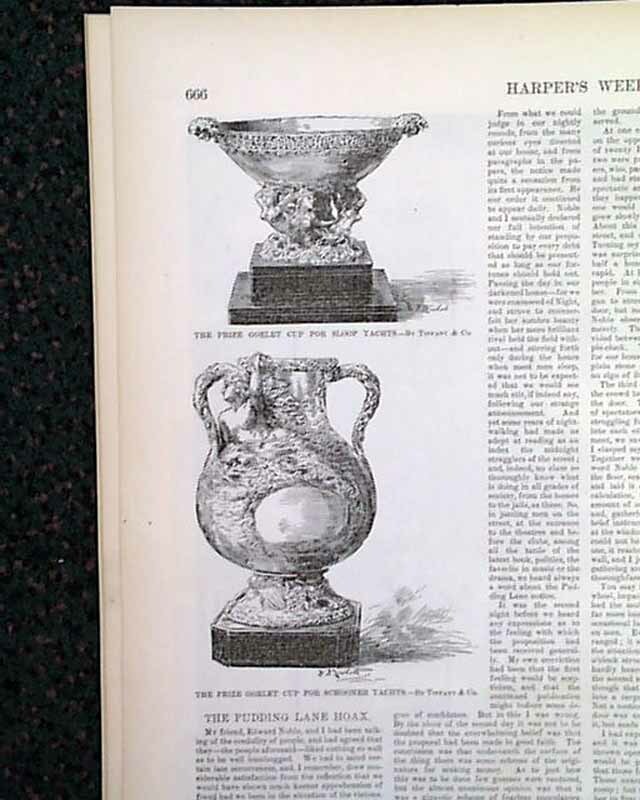 Quite nice. 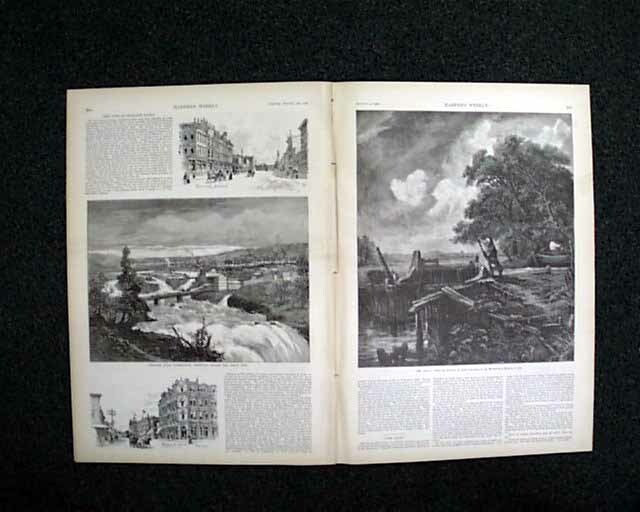 Complete in twenty pages.